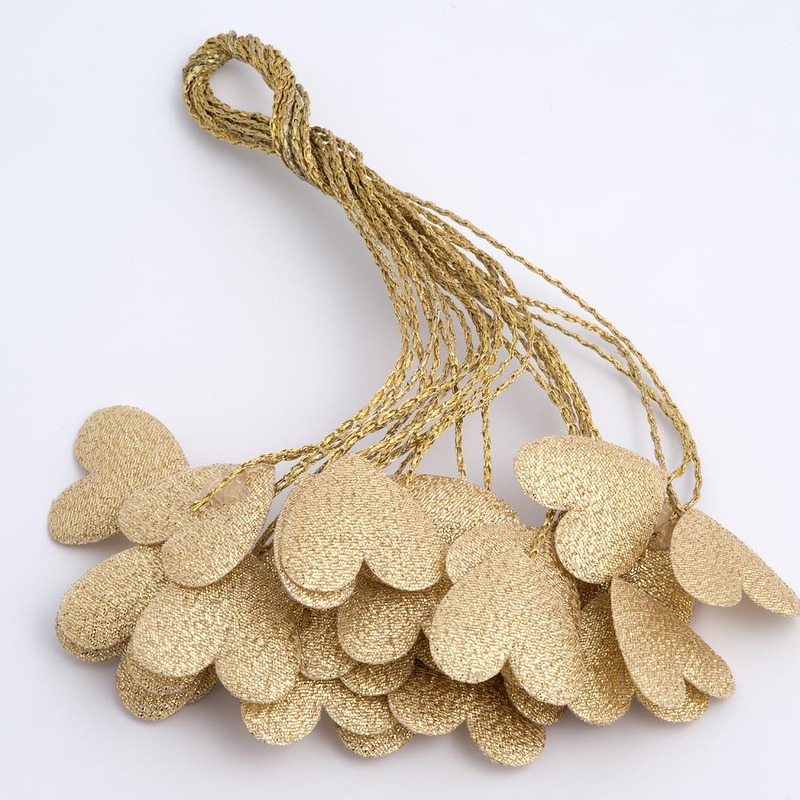 DescriptionAdd a little romance to your Wedding Favours with our Lurex Hearts on strings. Each string has 2 delicate Lurex Hearts that can be wrapped around your favours or split the string to make single hearts. Pack of 12 strings with 2 hearts per string. Size of each heart 2cm x 2cm on a 25cm string. 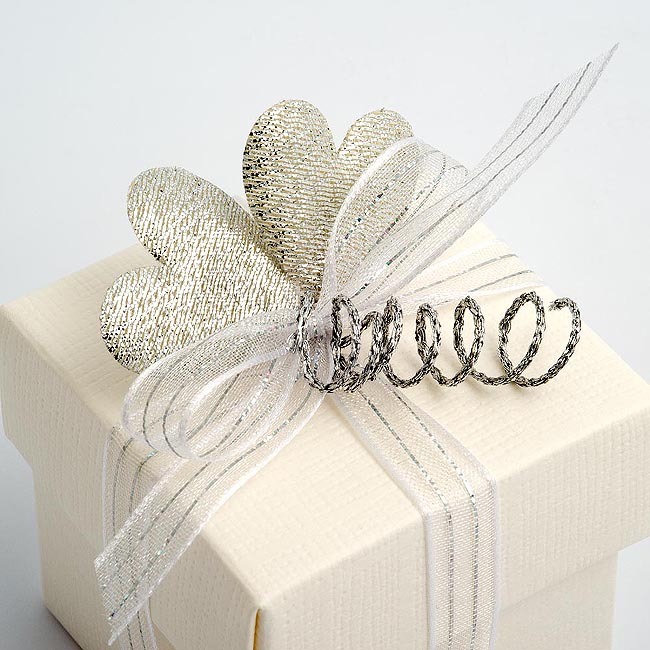 Add a little romance to your Wedding Favours with our Lurex Hearts on strings. 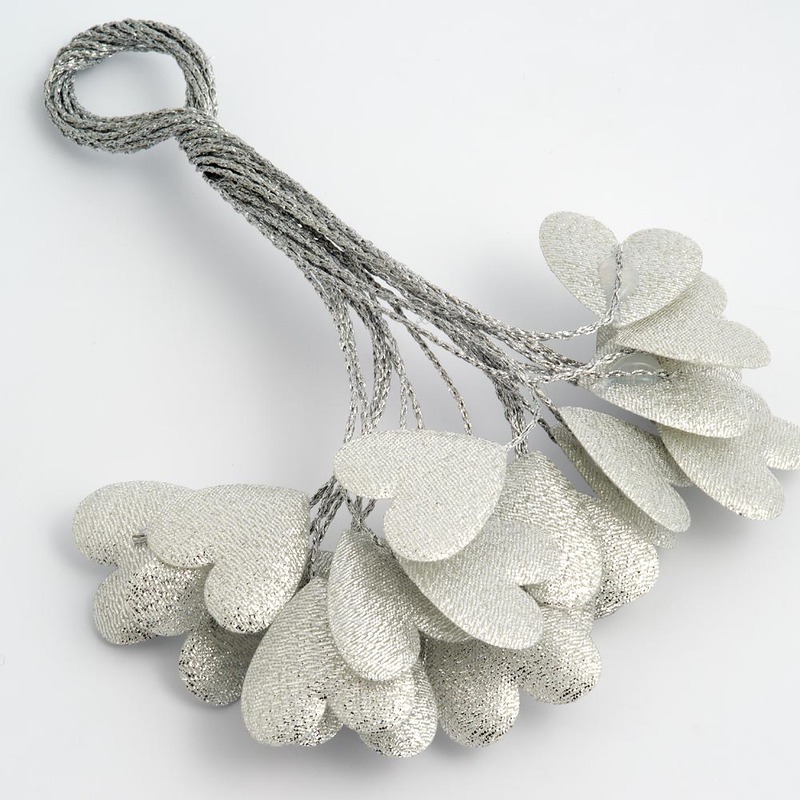 Each string has 2 delicate Lurex Hearts that can be wrapped around your favours or split the string to make single hearts. Pack of 12 strings with 2 hearts per string. Size of each heart 2cm x 2cm on a 25cm string.